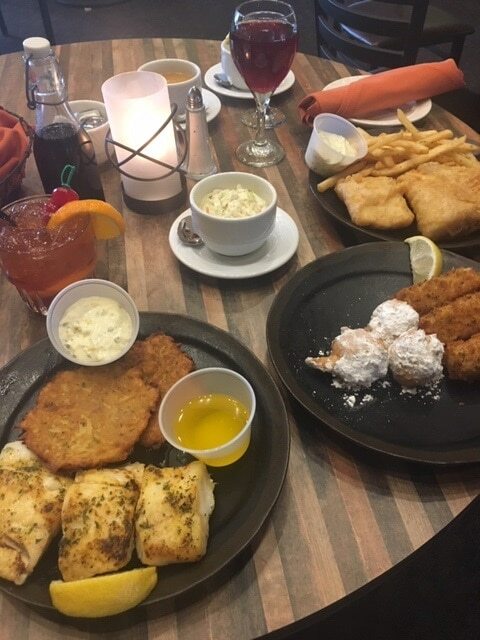 Join us every Friday for our wonderful Friday Fish Fry. Enjoy fresh Icelandic cod served deep fried with panko breading, beer battered, or baked with your choice of potato pancakes, corn fritters, or fries. With your meal, enjoy a classic Brandy Old-Fashioned or a Chocolate Coconut Daiquiri made by our fantastic bartenders. Come the 3rd Friday of every month, and enjoy our prime rib special! Reservations are recommended. Call Hawk’s View Golf Club at (262) 348-9900 to reserve a table!